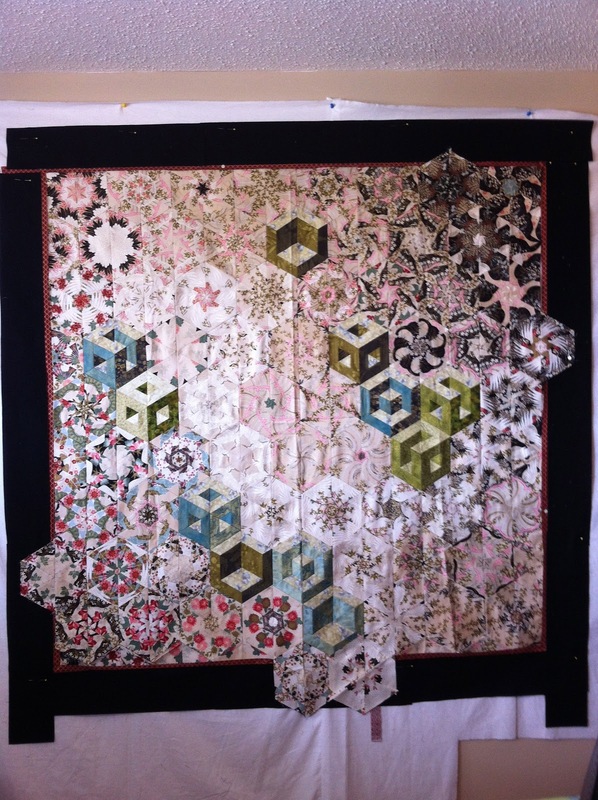 I took a class on the One-Block Wonder quilt a couple years back and although I loved the fabric and the hexagon pieces, somewhere along the process, I was no longer inspired by what I was doing. So, this quilting project went into the back of the closet, came out a few times only to go back in and finally came out to stay this week. I ripped out a few rows of blocks on the sides and the bottom and as a result, the proportions are more pleasing to me and I'm back looking forward to working and finishing this quilt. Often, I will come out of a quilt shop with fabric that I love, but have no idea what I am going to make of it. Every time I open my sewing cave doors and look through my fabric, these beautiful colors from Moda (Etchings from Three Sisters) have been calling me to sew them into something special. 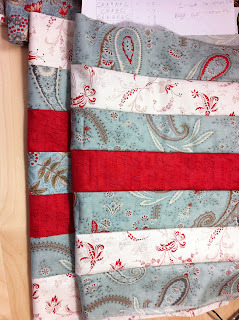 I'm not ready to share yet what quilt pattern I am using, but I thought I'd give you a sneak peek. Do you have projects that need time to "stew"? Or are you a start to finish one project at a time person? love the colours in the mystery quilt!! 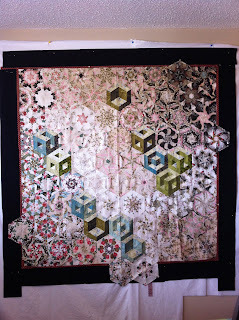 that is me just getting round to catching up on WIP Wednesday phew where does the time go!